Shippers have several options when choosing the correct container size for full container and less than container ocean shipments. And with all the changes in technology, still, more than 90 per cent of the world ocean cargo has been shipped in containers. Since all containers have limited weight and cube capacity, it is important to know the weight and cube factor before back office offshoring services select the right equipment. Always note that the cubic measurements are based on exterior dimensions. The weight capacity is also an approximate and may vary, depending on the destination where the package will be sent, due to the limitations in highway and cargo requirements. If the gross container weight exceeds the recommended limit, acceptance is at the discretion of the shipping line and may carry an overweight surcharge. Once you have calculated the total weight and dimensions of the goods, it is time to determine which container to use. Keep in mind that no single dimension can exceed the interior dimensions, nor can the total weight exceed the weight capacity. A shipment weighing 18 metric tons with a measurement of 20 cubic meters (cbm) would be best suited for a 20 container. The same shipment of 18 metric tons that measures at 45 cbm would be better in a 40 container. An important point to consider is that a shipment with a low weight and high measurement ratio may be shipped more economically. For example, if your shipment weighs 5 metric tons but has a measurement of 22 cbm, you will most likely be able to negotiate a better less than container load rate than by shipping exclusively in a 20 container. Smaller shipments, such as 1000 kilograms with a 5cbm factor, are more economical to ship with an LCL consolidator. Multiple shipments are combined and loaded into an FCL. Each shipper in the container pays a portion of the FCL cost through the ocean freight consolidator. More often than usual, there is no choice as to the type of container equipment best suited to move your shipment. 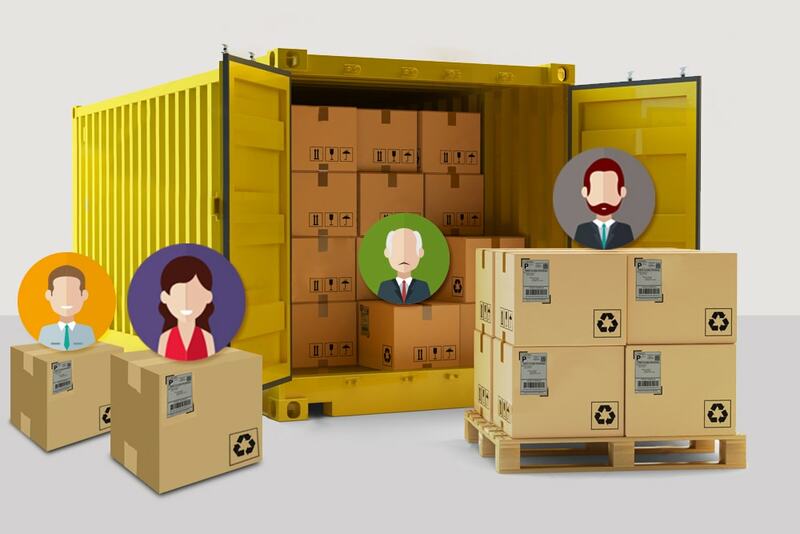 If there is a marginal savings to ship by LCL, offshore back office solutions might consider shipping by FCL, even though it is slightly more expensive. The deciding factor for choosing the FCL would be the frequency of shipment handling. Generally, an FCL is positioned at the shipper’s door for loading. Once the loading is complete, a seal is affixed that will remain intact until the container arrives at the consignees door. Note that a Customs examination may require for the seal to be removed and replaced with an official Customs seal after inspection. Typically, the end result is that the shipment is handled only on loading and unloading, or twice. Knowing the loadable dimensions of the container is the key to deciding how to prepare packing for export purposes. Palletized cargo should conform to the width of the container to ensure side-by-side loading. If the cargo is light enough to be stackable, consider the height capacity as well. Finally, always keep in mind that the door opening dimensions of the width and height of the container are slightly less than the interior dimensions. It is important to make sure that the packed dimensions fit the door opening to ensure they can pass through the door.